Lavender Rose - A perfect blend of lavender and geranium rose essential oils, creating a soft, feminine scent that isn't overly sweet but has a rich, full floral fragrance. Coconut Mango - A mix of tropically-scented coconut and sweet mango. It's guaranteed to make beach lovers smile! Eucalyptus Spearmint - A sporty, unisex scent. It's fresh and clean smelling, with notes of eucalyptus, sage, spearmint and a faint hint of lavender. Lemongrass Patchouli - A bright, clean scent. The sharpness of the lemongrass complements the dark subtlety of the patchouli, resulting in the perfect blend that wakes up your senses while remaining grounded in soft earthiness. Tweed & Spice - A light, masculine fragrance that clearly says "refined gentleman" while not being too overpowering. The smart choice for your man! Sweet Orange & Bergamot - A refreshing citrus blend - soft yet fresh, bright yet subtle. With an earnest combination that highlights sweet orange and FCF bergamot essential oils, it is grounded by lemongrass essential oil and contains the subtle touch of rose absolute. Cool Cucumber - The perfect scent for a totally refreshing experience - light and crisp, but subtle enough that it won't interfere with other fragrances. Rosemary Mint - A perfect blend of rosemary and lavender essential oils, with just a touch of spearmint essential oil. The result is an herbaceous, rich scent with a refreshing finish. 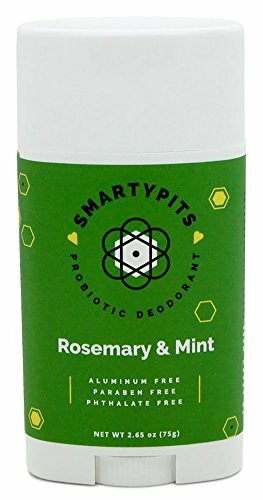 This Is The Natural Deodorant You've Been Searching For - Convenient, Smooth & Most Importantly, Effective! If you have any questions about this product by Handcrafted HoneyBee, contact us by completing and submitting the form below. If you are looking for a specif part number, please include it with your message. Freshscent Stick Deodorant 0.5 Ounce (576 Pieces) - 1/2 Ounce Stick Deodorant, Alcohol Free. 144 Pieces/Inner Pack, 576 Pieces/Case. Great Travel Size Products For Hotel Supplies.